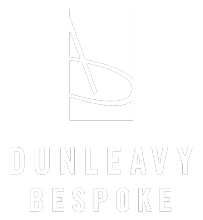 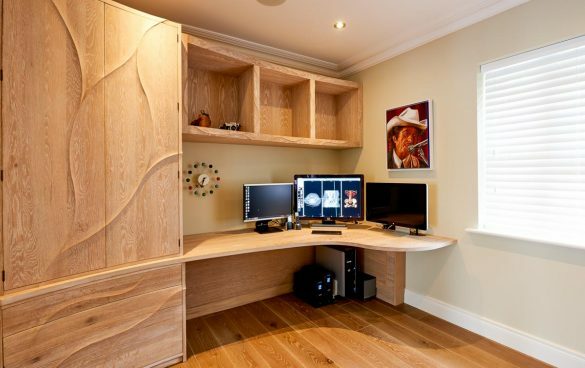 A highly customised double home office for Dublin clients who often work from home. 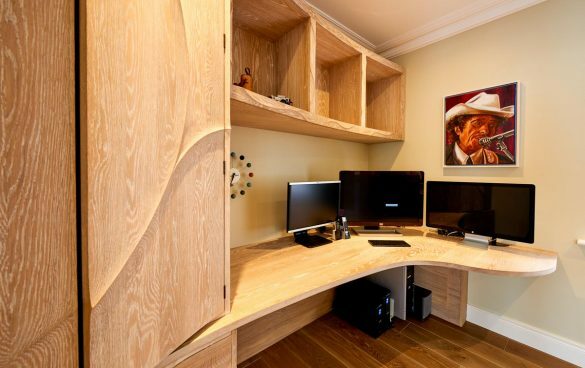 The work-space was designed by considering the ideal layout of their computer screens, accessible cable management and functional storage. 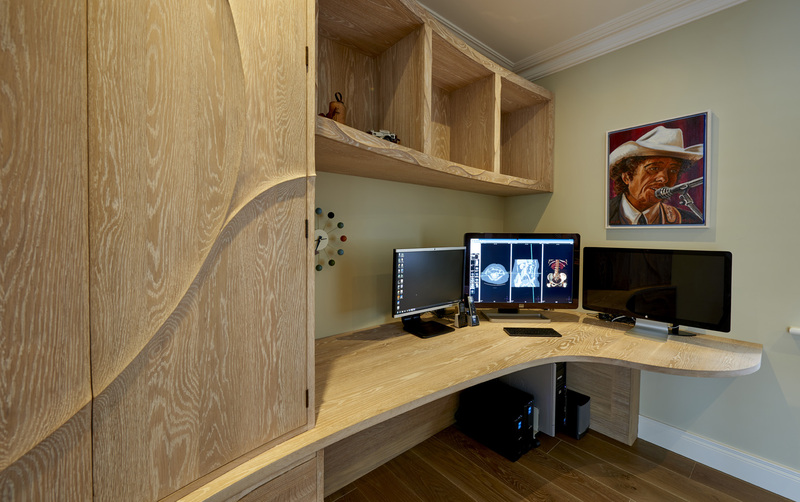 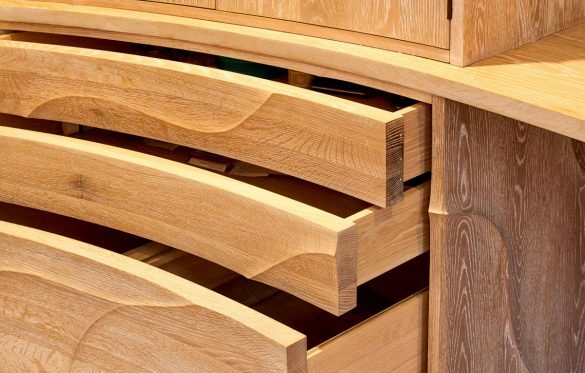 In solid oak with a bleached oil finish, our esker-inspired ridge patterning flows continuously over all surfaces on each side of the room. While very much a pair, each is individual.